Oldest division founded by the German engineer Michael Schoening in spring 1997 in Pinneberg/ Germany. Initially specializing in the development of personal protective equipment for the outdoor area. Later, the audience rescue and police dogs was added. High functionality claim, simple design and sustainability were the reasons for the award of the Design Award Schleswig-Holstein in 2001 and the nomination for the Design Award Germany 2002. q-products led in 2004 before implementation of the European directive WEEE the first reusable electronic products. We develop and produce in Germany, distributed over several countries. For MADE IN GERMANY there is no alternative solution. 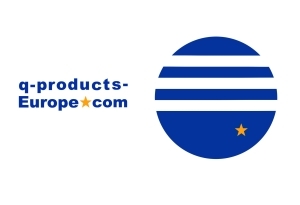 Today q-products.de® is a brand that is distributed among q-products Europe.